As we commemorate the noble sacrifice of Imam Hussain for humanity, lives are at risk. 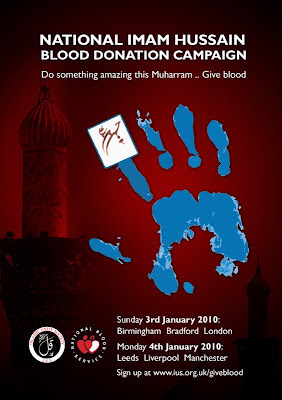 What better way to demonstrate our solidarity with Imam Hussain than sacrificing our blood to save human lives? Are our tears for Imam Hussain sincere without supporting the sick and oppressed? Let not the blood of Imam Hussain flow in vain.